When you become a member of the Wine Masters Club, you'll get access to great benefits only available to our members. 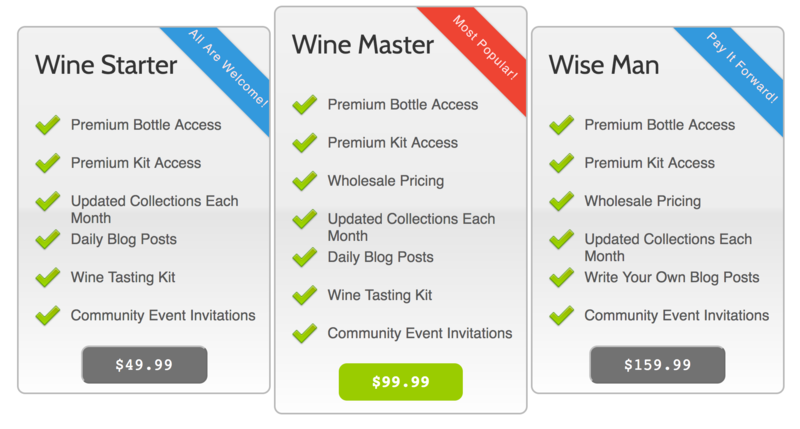 Access to a premium blog with the best tips and information on wine tasting and making. Learn from the top experts in the industry, access you won't find anywhere else. Access to a special resource page with the sites we love, and promo codes to get huge discounts on anything you find interesting from them. We stock a very limited quantity of select high end wines that we reserve only for our best customers. You'll be allowed into our private stock when you become a member. Sounds awesome? Then go ahead and get yourself signed up!